I am standing as the Liberal Democrats candidate for the seat of Macquarie, in the August 21st federal election. I am a farmer, businessman, investor, family man, with qualifications in electrical engineering and hold a private pilot’s licence. 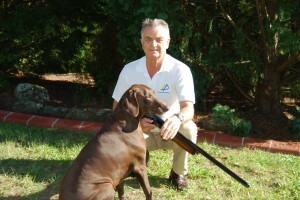 I am an active sporting shooter, fox, rabbit and deer hunter and enjoy playing golf every week. I am 66 years old, married with 6 granddaughters. I am National President of the Liberal Democratic Party. I strongly believe in the principles of free enterprise, individual responsibility, small government and low taxes. Labor and The Greens, who all want to tax us to the hilt, then decide how they will spend OUR money. We believe that taxpayers want to keep more of their hard-earned money. Taxpayers can best decide how they will spend it, or invest it, or save it, or whatever. Bureaucrats in Canberra do not know how best to spend our money, or how we should run our lives. We could get rid of tens of thousands of unproductive Government employees, reduce middle-class welfare rorts, return power to local communities and be far better off. For example, the Liberal Democrats would push for all State firearms registries to be closed (as has been done in Canada) and the money thus saved, put into improving mental health and dental services. This entry was posted on Tuesday, August 10th, 2010 at 7:57 am	and is filed under Discussion, Mountains Life, News. You can follow any responses to this entry through the RSS 2.0 feed. You can skip to the end and leave a response. Pinging is currently not allowed.